Bloggers' beloved chef Ben Bailly may have left Petrossian for Fraiche, but that doesn't mean we should all forget about Petrossian. 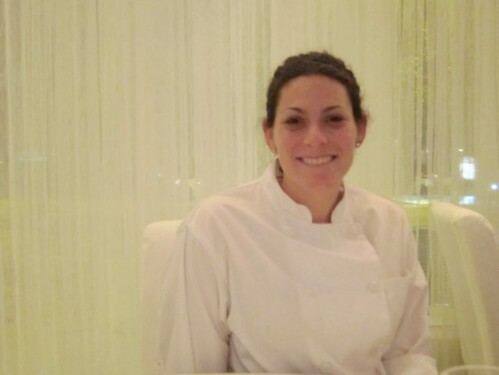 Their new executive chef, Giselle Wellman, is keeping the West Hollywood restaurant going strong. Giselle is one of a few female executive chefs in Los Angeles and previously worked at Bouchon, Jean Georges and Del Posto in New York, and Jack's La Jolla. 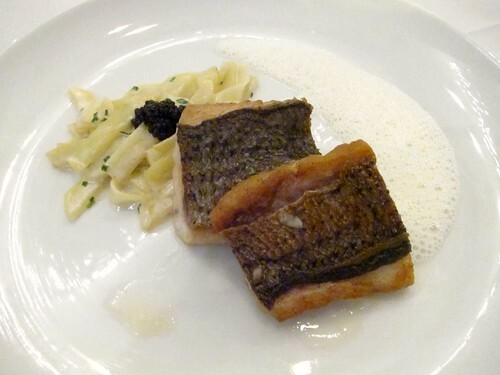 Savory Hunter and I were lucky enough to be invite to try the new menu at Petrossian. 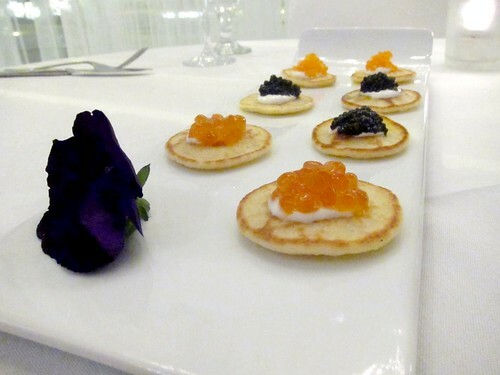 First thing's first: prosecco and caviar blinis. Not that the blinis have really changed with the changing of chefs, but being at Petrossian we felt that we should start with some anyway. They're great as always. Although we hadn't thought of ordering it, we're so glad Giselle decided to bring this out. This dish is somewhat rare in LA, and I usually find it at places like Providence and Melisse as a part of the tasting menu. It's good to know I can get it here without spending the dough for a whole tasting menu. It's quite different compared to the others, though. The scrambled egg was incredibly light, especially combined with the vodka whipped cream. An unusual flavor for a risotto (at least for me) and another table favorite. 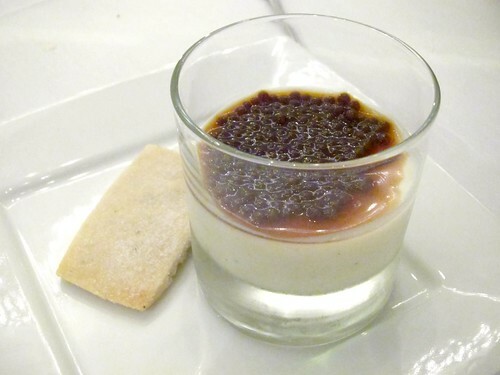 The creme fraiche balances the smoked sturgeon, and you get pleasant bursts of surprise as you encounter the caviar. The crisp apple slices act like a palate cleanser at the end of each bite. The entrees are simple, but well done. The fish was cooked just right with nicely crisped skin. This was probably my favorite dish of the night. I liked this better than truffle mac and cheese as there are more interesting elements at play here from the earthy mushrooms to the silky prosciutto. The dark meat part of the chicken was wonderfully moist and flavorful, but I'm still not a big fan of white meat. 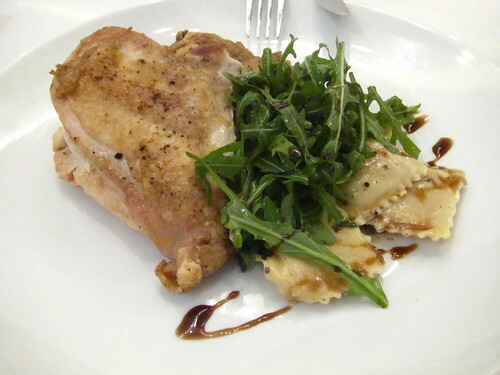 The arugula nicely balanced the richness of both the chicken and the ravioli. 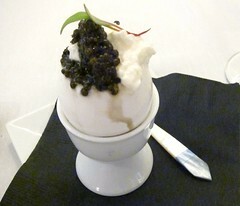 Caviar for dessert? Well, not quite. The panna cotta is on the denser side compared to other versions. 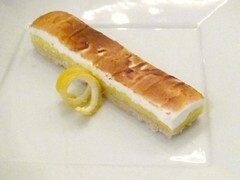 We also had the lemon tart which was not on the regular menu but was on the DineLA menu. I actually really enjoyed this and hope they'll put it on the regular dessert menu. Lemon tarts are sometimes too tart or too rich for me but this was fairly light and well balanced. 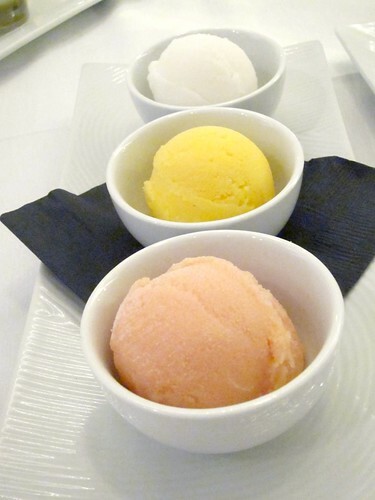 Petrossian serves Gourmet Guild's vegan sorbet, which I first tried at the second LA Street Food Fest. I love their champagne and wine sorbet but unfortunately they weren't available that night. Still, what we had was excellent. 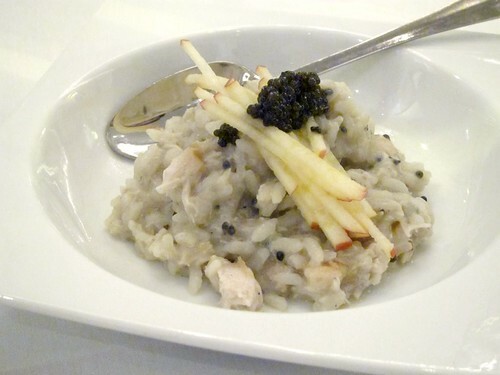 The chef and half the menu may have changed, but a great meal and good times are still to be had at Petrossian. 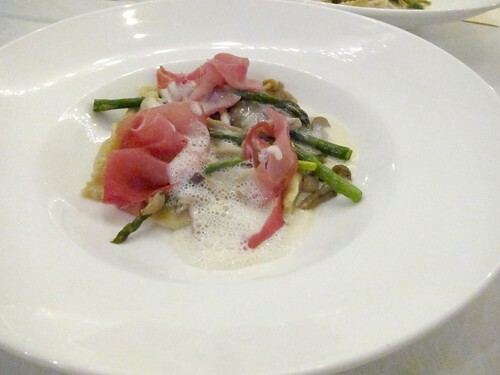 Chef Giselle Wellman is keeping up the standards in the kitchen and churning out some great dishes like the truffle fontina agnolotti. Hopefully we'll see more great stuff to come as she settles into her new station. Disclosure: This dinner was hosted. Hi Fiona -I just read about a half-off promotion from Open Table this morning. Glad to see your review. It sounds excellent, perhaps I'll take them up on the offer. See you Thursday in San Diego?